Classifieds website Gumtree.com.au has announced its new advertising offering, for the first time giving brands the opportunity to access the 3.8 million Australians who visit Gumtree. Gumtree’s advertising offering is optimised to reach each brand’s desired audience by tapping into user insights based on keyword search, context of search (beyond just keywords), location, behavioural targeting, as well as users’ intent to buy (or sell). Gumtree head of strategy and new business, Remi Mascio, said, “Gumtree is more than Australia’s number-one classifieds; with the average Gumtree user connecting with us for 42 minutes and viewing 51 pages per month, Gumtree is one of Australia’s leading digital destinations. LinkedIn released a report at its Finance Connect event last week that provides insights into Australia’s high-net-worth (HNW) individuals’ participation on social platforms. The research was conducted by Join the Dots Research in November 2013.
social media is important throughout each stage of the financial decision journey. 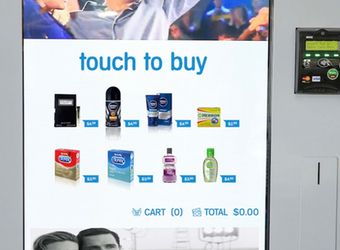 Sydney Airport is launching a world-first retail service for its customers: digital touchscreen vending machines that stock travel-size toiletries in its terminals. 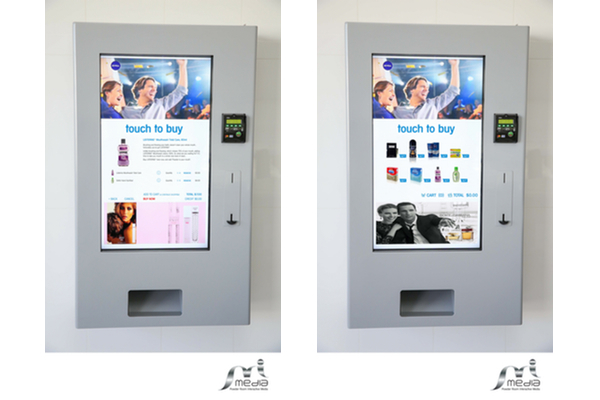 The digital vending machines have been designed by Melbourne-based washroom vending company Powder Room Interactive Media (PRI Media) and tailored exclusively for washrooms in Sydney Airport’s T1 International and T2 Domestic terminals. Customers visiting T1 and T2 will now have convenient access to a range of popular travel-size beauty and grooming products from some of Australia’s biggest consumer brands – including Nivea, Carefree, Listerine, Dettol, Durex, Herron, Napoleon Perdis, Gucci perfume and D&G cologne – which meet Customs requirements for liquid allowances. The machines accept credit card payments, including ‘tap and go’ functionality, as well as coin payments. SBS has today announced a co-distribution venture with Madman Entertainment, which will see the acquisition of six films distributed jointly across Australia and New Zealand over the next two years in a return for SBS to cinema screens. The joint venture will see Madman and SBS acquire and co-distribute quality-end film, including international film, across Australia and New Zealand, with cross-promotion across all SBS channels and platforms. The chosen films will later be available on SBS channels including SBS ONE, SBS 2 and SBS’s subscription television channel World Movies. Danish box-office hit The Keeper of Lost Causes will be the first film released as part of the co-distribution venture in July. The crime thriller is the first in a series based on Jussi Alder-Olsen’s Department Q bestsellers, and has grossed close to $8 million at the Danish box office to date. Global adtech company Criteo has announced the global availability of a complete mobile advertising solution, hoping to deliver a transparent, cookie-based solution that allows advertisers to serve personalised dynamic ads on Safari mobile web browsers, while empowering users to make a relevant choice regarding their browsing experience. Qantas launches new social media campaign with hashtag… how will this one go? “I was the youngest person at a media event last Monday night. Well into the third decade of my life, these days it’s a rare occurrence when I’m the youngest at anything. But on that evening night there I was, with my husband (the second youngest person), mingling with other Sydney Morning Herald subscribers at Fairfax’s own ‘meet the press’ shindig.